Schaumburg, Illinois (March 17, 2015)--Winners of the 5th annual Shopper Marketing Effie Awards were celebrated tonight at the Path to Purchase Institute’s 2015 Shopper Marketing Summit. Shopper Marketing Effie Awards honor work that showcases the best utilization of shopper insights that lead to effective engagements and activations with shoppers along their path to purchase. Procter & Gamble once again led this year’s competition, winning six Shopper Marketing Effies. Walmart won five Shopper Marketing Effies (four partnering with Procter & Gamble, one partnering with Coca-Cola), while Kimberly-Clark won two Effie trophies. Saatchi & Saatchi X was awarded the most Shopper Marketer Effies among agencies (4), closely followed by Geometry Global (3) and The Integer Group (2). “This is the fifth year of our Shopper Marketing Effie program and the category is more competitive than ever. Of course, an Effie trophy is a major accomplishment for any marketer or retailer,” said Neal Davies, President and CEO of Effie Worldwide. “There is such great learning to be had from this program: insights from Effie winners and our judges expand our collective resources to become more effective marketers across the board”. Coca-Cola, Walmart, Shopper Events and Collective Bias together won a Gold SME for “Coca-Cola Share It Forward”. The effort inspired shoppers to share over a million ice cold Cokes to get the happiness started and then Share it Forward, thus connecting retailer, shopper and brand, resulting in distributing 1.2MM Cokes and driving double digit lifts on 20oz Cokes months following. Procter & Gamble, Walmart and Saatchi & Saatchi X won a Gold SME for “ROCK YOUR COVERGIRL”, which connected with shoppers and inspired them to Rock their COVERGIRL at Walmart’s Everyday Low Prices, growing Walmart’s share of COVERGIRL to the highest level in 24 months. The same team also won a Silver SME for “Made With American Jobs” for Tide, Bounty, Crest, Oral B + Other P&G Brands. Kimberly-Clark and Geometry Global won a Bronze SME for “We Got U at Walmart” for U by Kotex. Big Heart Pet Brands and FCB Red won a Gold SME for “Milk-Bone Brushing Chews Shopper Marketing Launch Campaign,” which spread the word that Milk-Bone Brushing Chews are the only dental treat dogs would beg for. Shoppers (and their dogs) ate up the idea – proven by its trial rate and retail sales numbers. Procter & Gamble, Walmart and Saatchi & Saatchi X won a Bronze SME for “Swaddlers for the life of your Baby” for Pampers Swaddlers. Procter & Gamble, Walmart and the Saatchi & Saatchi X team won a Gold SME for "My Black is Beautiful" Ambassador Search for Walmart, COVERGIRL, and Pantene, along with contributing agencies Burrell Communications and GlobalHue. The program resulted in a significant sales lift for COVERGIRL and Pantene, helping Walmart outpace the general market. My Black is Beautiful winning results combination with COVERGIRL and Pantene. Kraft Canada and ShopperDDB won a Bronze SME for “Kraft Food Hacks”. Procter & Gamble and The Integer Group won a Silver SME for “P&G Best of Beauty 2014” for the P&G Beauty Brand Category, along with contributing agencies Citizen Relations and Starcom MediaVest Group. Kimberly-Clark, Geometry Global and Tris3ct won a Silver SME for “Break Up with Bounty” for VIVA VANTAGE, along with VML, Mindshare and Ketchum. Ogilvy & Mather and InterContinental Hotels Group won a Silver SME for “The Big Win” for IHG® Rewards Club. Nestlé USA and Geometry Global won a Bronze SME for “The Official Pizza of the Grill” for Jack's®, along with contributing agencies Ogilvy Public Relations (Social @ Ogilvy) and Weber Shandwick. The summation of total points earned by both the evening’s winners & 2015 Effie Finalists will be factored into the Effie Effectiveness Index which ranks the most effective advertisers, brands, holding companies and agencies in the world. North American Effie Effectiveness rankings will be announced at the Effie Awards Gala in New York on June 4. 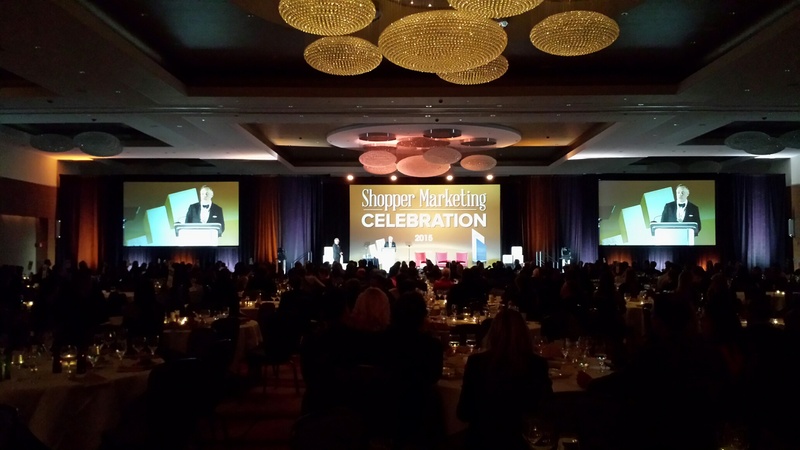 The complete listing of 2015 North American Shopper Marketing Effie winners is available for download on www.effie.org, as well as the short list of Shopper Marketing Effie finalists.